Each week in your "Pajama Class", babies, toddlers, preschoolers, and the grownups who love them, gather for 45 minutes of family music time. Children (and adults) are welcome to come in their jammies. Your teacher will lead you and the other families in music activities ranging from lullabies to full-on jam sessions (with child-friendly instruments, of course). Child development researchers discovered that grouping children of different ages in one class encourages natural, family-style learning, so Music Together® developed the Mixed-Age Music Class. In this class, everyone participates at their own levels: babies vocalize, listen, and observe; toddlers play and experiment; and preschoolers build confidence as they emerge as classroom leaders. Grownups are happy because everyone can come to class together. 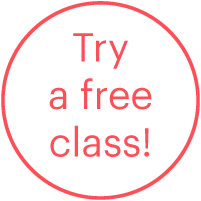 You are welcome to join us for a free trial class at any time. Please use our online Demo Scheduler or contact us and we can help you arrange your visit.